The Florida Department of Law Enforcement FDLE has issued a report of major drugs that have been associated with health issues according to medical professionals. The complete Prescription Drug Report is here. 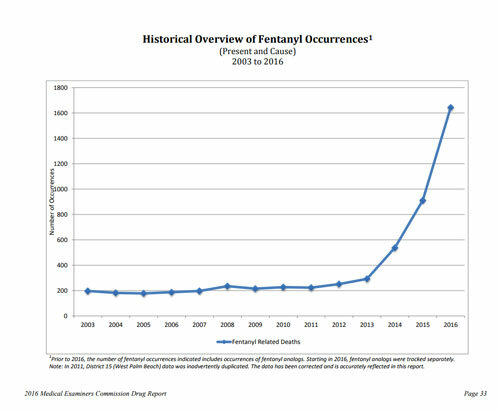 The SP Times reports, "Of the 89,800 deaths from January through June, 4,150 individuals had one or more drugs in their bodies. The most frequently occurring drugs were alcohol, benzodiazepines, oxycodone and cocaine." 6,658 (24 percent more) individuals died with one or more prescription drugs in their system. The drugs were identified as either the cause of death or merely present in the decedent. These drugs may have also been mixed with illicit drugs and/or alcohol. 3,550 (40 percent more) individuals died with at least one prescription drug in their system that was identified as the cause of death. These drugs may have been mixed with other prescription drugs, illicit drugs, and/or alcohol. 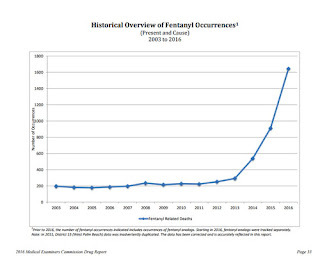 "The report also showed that while heroin continues to be the most lethal drug, prescription drugs continue to be found more often than illicit drugs in both lethal and non-lethal levels." The Times reported today. MDMA (Ecstasy), MDA, MDEA, and Phentermine; Methylated Amphetamines (Amphetamines, Methamphetamine, Hydromorphone, Meperidine, Methadone, Morphine, Oxycodone, Oxym Opioids (Buprenorphine, Codeine, Fentanyl, Heroin, Hydrocodone Propoxyphene, and Tramadol); Phencyclidine (PCP); and Zolpidem.